Well, this month has officially flown by. I know so many people say that, but seriously where did this month go? It is also funny looking back at my outfits this months because I feel like summer really hit us suddenly down here in Melbourne and my outfits definitely represent that. I hope you guys have had a great month and I look forward to dressing in nothing but Christmas themed outfits for the next month. 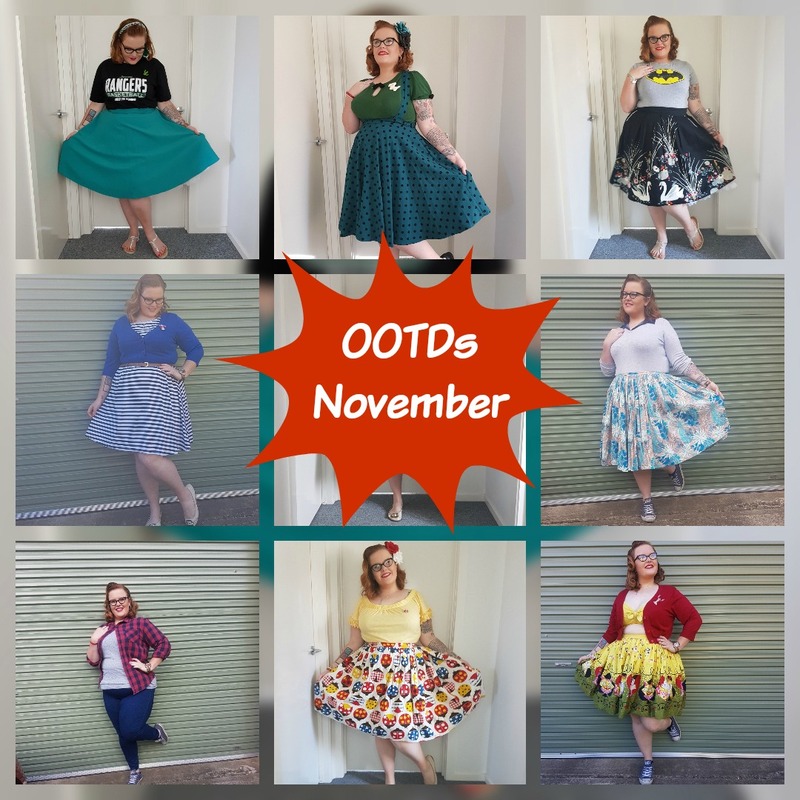 These were all my outfits from this month. As my job is not very ‘vintage’ friendly, I only get to wear my 50s looks either on the weekend or when we go out. I hope you have all had a great month and I can not wait for Christmas. Gorgeous outfits! Your style is amazing! Really love your hair accessories, too!